Jacflash Presents: Our First Women's Entrepreneurial Event at Thirty Six Knots! 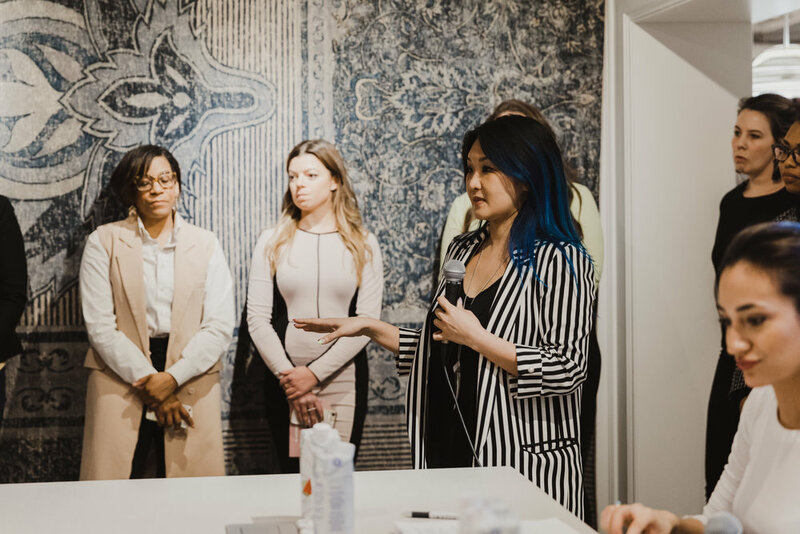 On Wednesday, March 13th, Jacflash events hosted the first of a brand new workshop series called WEW: Women’s Entrepreneurial Event, or #jacflashWEW. The Women’s Entrepreneurial Event was created by Jaclyn Genovese to empower women in the workplace. 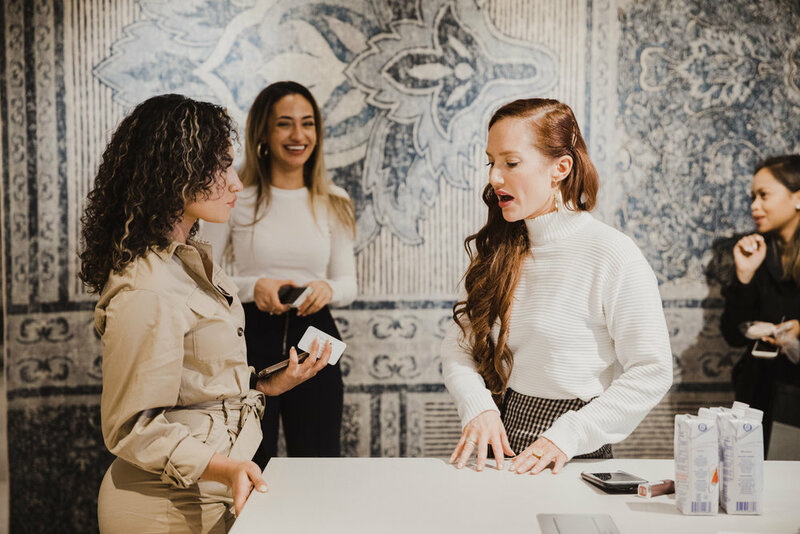 Jaclyn’s goal is to help women feel an overall sense of confidence, freedom, and financial liberation no matter what they choose to do in their lives. 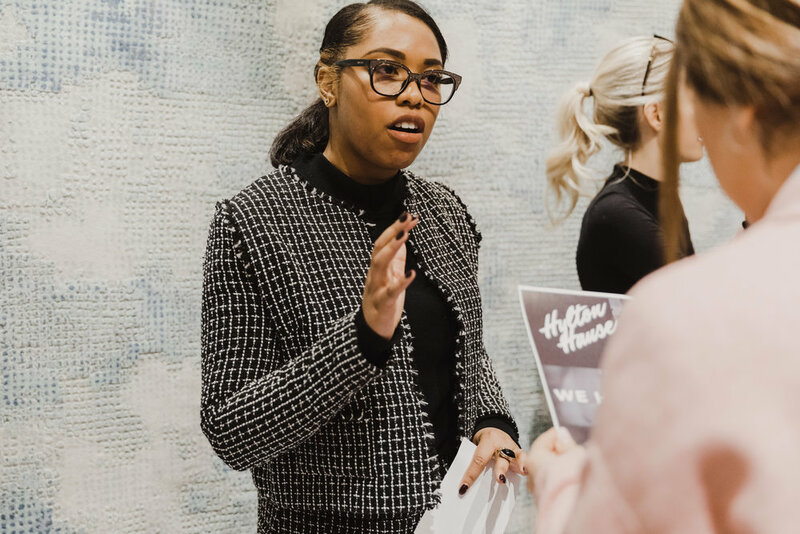 From women who feel stuck in a dead-end job or have an entrepreneurial itch to women who own a small business and are looking to grow, this workshop attracted a diverse audience of powerhouse women!! We started the evening by welcoming guests to our beautiful event venue, Thirty Six Knots. Thirty Six Knots is a luxury rug and furniture store with a passion for community, great coffee, and all things artisan. Their speciality is hand-woven, custom rugs that come to life through the intersection of interior designers, graphic designers, and weavers in India. 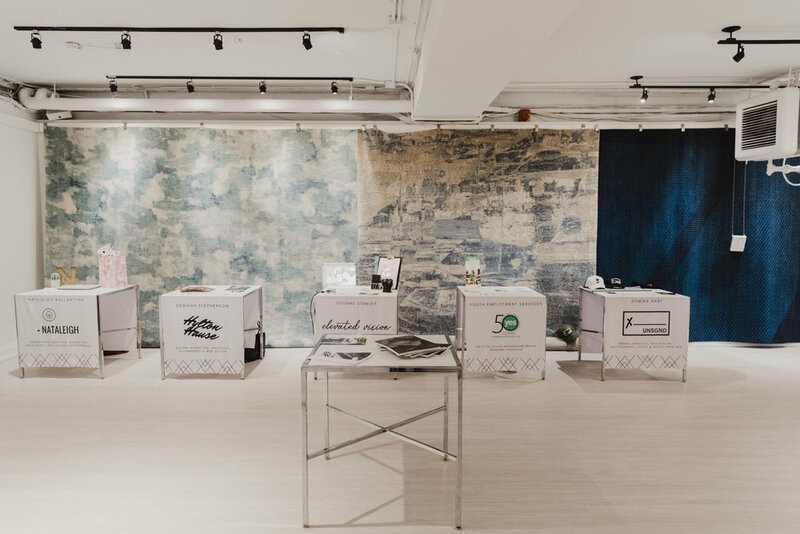 With their beautiful pieces, in-store cafe, and unique spaces, Thirty Six Knots was the perfect place to host our event. Their staff were beyond helpful and ensured the night ran smoothly. We were pleased to have Grand Cru Deli catering our event. They set up a delicious charcuterie display full of meats, crackers, and dips we just loved! Grand Cru Deli is a deli x wine bar located at 304 Richmond Street West. 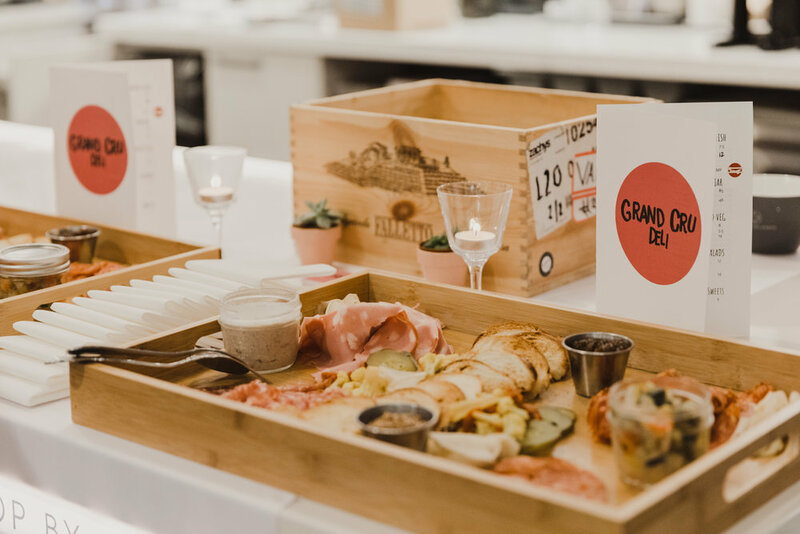 In addition to keeping our bellies full, Grand Cru Deli provided a special promotion for anyone looking to hire them for catering services: complimentary hors d’oeuvres at your next event! We also had Tonica kombucha and Flow water graciously donated for this event. Our guests took a seat in a beautiful room at the back of the store, full of carpet swatches, ready for the event to begin. First up, Jaclyn Genovese, CEO and founder of Jacflash, shared her story to success, along with tips, tricks, and secrets to creating a successful business. She was interviewed by her Executive Assistant, Kay Ghajar. The interview was dynamic, funny, and extremely educational. Jaclyn talked about her journey from owning a clothing store on Queen Street West and hosting parties at Toronto’s hottest nightclubs to the birth of Spaces by Jacflash and Fitness by Jacflash. She shared what worked and what didn’t work in the past, how she juggles everything she’s working on, and websites and business tools everyone should know! At the end of the interview, guests were able to ask Jaclyn any questions they had about her story or advice they were hoping to get. We were so excited about our sponsor, Vistaprint. Vistaprint is a one-stop-shop for all your small business needs. They specialized in expertly designed custom marketing with a simple, straightforward ordering process and extremely timely turnaround! We placed our order for this event on a Thursday, and received everything exactly as we’d envisioned it by the following Monday! In addition to printing all of our promotional materials, table runners, Jacflash notepads and pens, Vistaprint brought our “Key Lessons” handouts to life. These were waiting on everyone’s chairs as they were seated, so guests could follow along and take notes under each section as Jaclyn and Kay discussed it. Nataleigh Ballantyne from NB Media. As a special treat, we invited all guests to leave their business card on a table at the centre of the room, so they could promote their own business with the group. After the event was over, Jaclyn shared these businesses with her 43.9k Instagram followers to maximize exposure for everyone who left a card! This event was such a success and we cannot wait to continue building our #jacflashWEW series. For anyone who missed out, a special online version of this workshop can be purchased here. As this particular event will not be repeated, we highly recommend you catch up online to learn Jaclyn’s story, business advice, and lay a strong foundation for what’s to come!